The revolutionary Cotton Liberty collection from Playtex presents the black short-sleeved top. This underwear will survive seasons and fashion and become a must-have basic in your wardrobe. 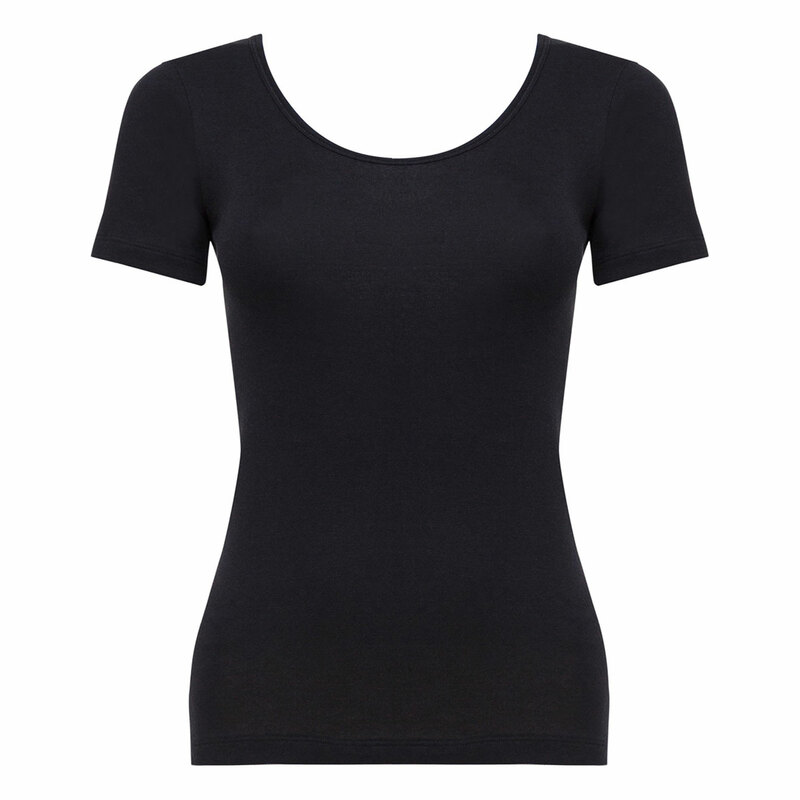 This short-sleeved black T-shirt with a feminine style offers you the comfort you've always dreamed of, thanks to its soft, hard-wearing fine cotton fabric. The icing on the cake is its flat seams that make it invisible under any piece of clothing. You won't be able to do without it in your daily life! You'll just love the short-sleeved black top from the very latest Playtex collection, Cotton Liberty. Experience total wellbeing with this little T-shirt that you can wear under any style of clothing. You can pair it with Maxi, Midi or Mini briefs. You'll also enjoy teaming it with different coloured briefs to suit your mood.